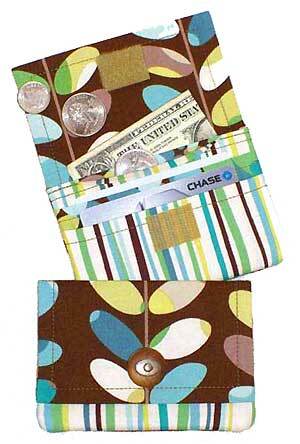 The Wonder Wallet Pattern by Lazy Girl Designs has instructions for a small wallet that can fit credit cards and bills. The Wonder Wallet pattern is easy (and quick!) 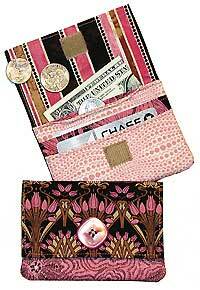 to make with lots of pockets for cards and cash, including a coin pocket. 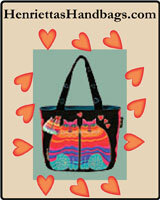 This pattern is made with a fat quarters and the finished size is 4 1/4" x 3"(closed). 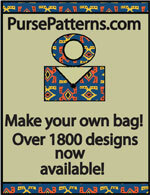 Button - 3/4" to 1"
This PDF pattern has a total of 6 pages. There is a one page cover photo and 5 pages of instructions and illustrations.